This Razor form simplifies the interaction with Yes/No type variables in blocks: it is not necessary to open a block row for editing in order to specify a value. the context must contain a string variable, filled in by a certain template. To add razor to the form, go to the form builder. 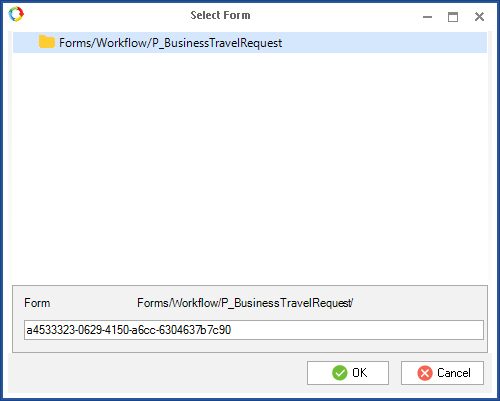 Open the task settings, select the Form (context) tab. 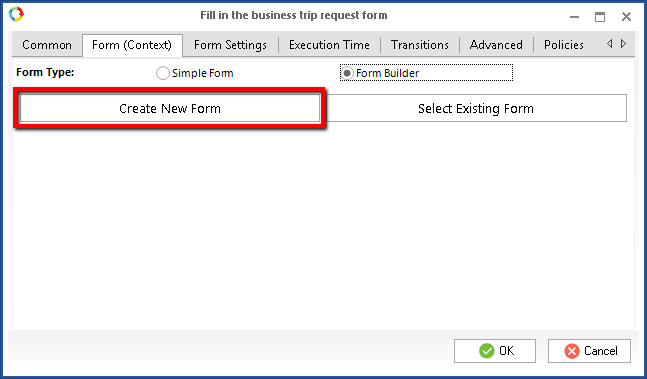 Select Form Builder form type and click Create New Form. In the form builder, add a Panel element to any spot on the form. 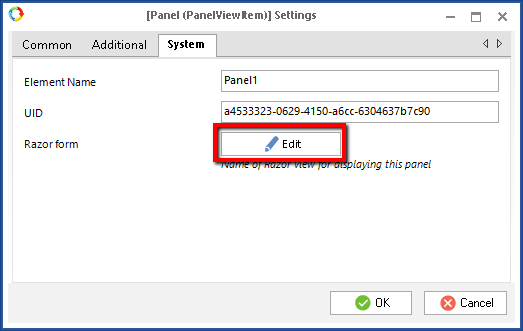 In the panel settings, go to the System tab and click Edit. In the opened window, you can change the view name (optionally), and click OK. In the opened window, click Edit. Next, replace the entire code with the code below. When copying from the web browser, an issue with incorrect single quotes may appear. If there are incorrect single quotes in the razor markup, the form will not work. Replace them with correct ones.